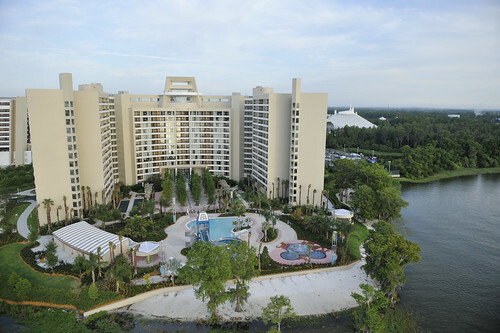 WELCOME TO LAKE BUENA VISTA HOME TO WALT DISNEY WORLD! Chapter 67-1965 of the Laws of Florida, incorporating the City of Reedy Creek, was signed into law by Governor Claude R. Kirk, Jr. on May 12, 1967, the same day he also signed chapters 67-764 (creating the Reedy Creek Improvement District) and 67-1104 (incorporating the City of Bay Lake). It was located fully inside the Reedy Creek Improvement District. The city was controlled by The Walt Disney Company and allowed it powers that other area attractions have not had. Chapter 69-1527, which became a law on July 3, 1969 without the Governor's approval, redefined the city boundaries. The city was completely moved, taking over some land that had been part of the City of Bay Lake (and was given up by Chapter 69-836, which became a law the same day) and including some other land that had formerly been unincorporated. Soon after, the City of Reedy Creek was renamed to the City of Lake Buena Vista to better reflect its new location, through which Reedy Creek did not flow. "Buena Vista" comes from the name of the street in Burbank, California where The Walt Disney Company is located. The Reedy Creek Improvement District had all the powers of the City and more, raising the questions of why cities needed to be incorporated inside it. Walt Disney's original plans for the site included at least one futuristic living area. This was never built, but some of the ideas were incorporated into Epcot and later Celebration, Florida. The only residents of the city are Disney employees that live in a small community on Royal Oak Court, north of Downtown Disney. The only landowners are fully owned subsidiaries of Disney, and right-of-way for state and county roads. WELCOME TO DISNEY WORLD ORLANDO! PLAN TO GO IN THE FUTURE!